Washington, D.C.- Yesterday morning, a SAMS facility in East Ghouta began receiving patients suffering from constricted pupils, coughing, vomiting, and bradypnea (abnormally slow breathing), all of which are symptoms indicative to exposure to chemical compounds. The victims reported that they were exposed to a substance following an artillery strike. Of the 61 individuals exposed to the substance, 15 required hospitalization, including 11 who were admitting to SAMS facilities. Initially, the triage center attempted to treat the victims as if they had suffered from exposure to chlorine. However, the victims did not respond to this treatment. They were then transferred to nearby facilities and administered an antidote to treat exposure to phosphorous compounds, which was successful stabilizing the victims. We are concerned that this chemical agent may have been phosphorous, yet the lack of medication and medical equipment available in East Ghouta due to the siege has made it increasingly difficult for doctors to effectively diagnose and respond accordingly. “As a doctor, the hardest thing that I have ever experienced is when communicating with a patient who is conscious, but I know that is going to die within 48 hoursbecause we simply don’t have the needed medical supplies to treat him. 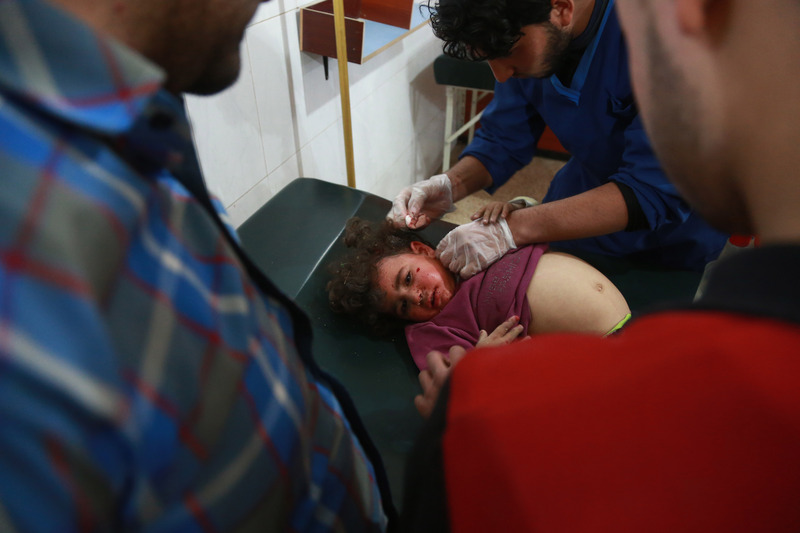 I have experienced this more than 20 times by now,” said Dr. Hamza, SAMS doctor in East Ghouta. 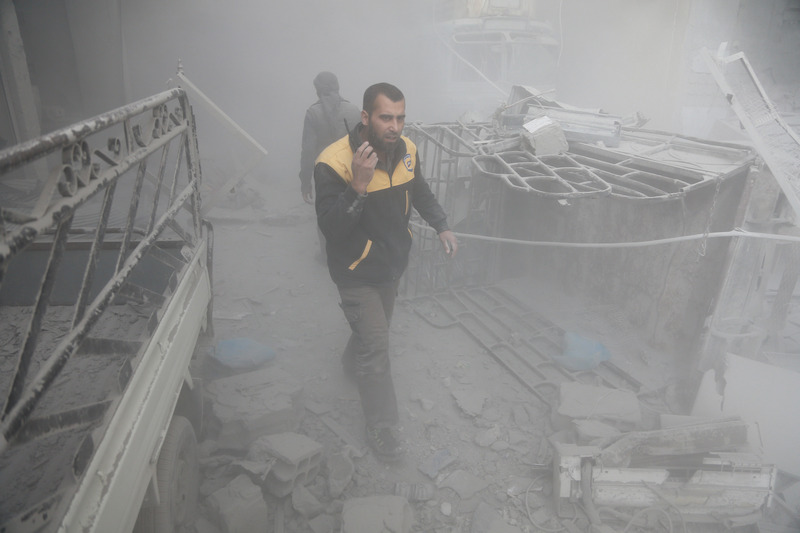 The situation in East Ghouta continues to deteriorate. According to the local health directorate, between Tuesday, November 14 and Friday, November 17, 2017, airstrikes and artillery strikes resulted in 84 casualties, including 23 women and children, as well as 659 injuries. Many of these attacks took place in residential areas, where the victims were primarily civilians, and where hospitals and schools were among the affected infrastructure. In addition, there are more than 450 individuals in need of urgent medical evacuation, more than 72 % of children under the age of five are in need of nutrition support. Medical supplies to treat illnesses such as cancer, diabetes, hemophilia and many other chronic diseases have long since run out. “The situation in East Ghouta is beyond dire. Such a situation is inhumane and in direct violation of international law and multiple UN Security Council resolutions. The guarantors of the “de-escalation” zone should take the necessary steps to stop the recurring violence against innocent civilians and allow for unimpeded humanitarian access, as set out at the establishment of the zone,” said Dr. Ahmad Tarakji, SAMS President. Without the collective efforts of the guarantors, UN agencies, and the broader international community, the suffering of the people of East Ghouta will only worsen, leaving yet another dark stain on the world’s conscience. SAMS strongly condemns the use of chemical weapons on civilians and calls for a full and impartial investigation into this attack, including the entrance of OPCW inspectors to conduct field testing. SAMS also calls for the immediate entrance of medical supplies and humanitarian assistance into East Ghouta, which has been repeatedly requested for months but failed to be delivered. For media inquiries, please contact SAMS’s Media and Communications Manager, Lobna Hassairi at [email protected].